Thanks for joining us at the Pittsburgh International Auto Show. We hope you are as excited about the next generation of Porsche vehicles as we are, and by simply completing the short form below, we’ll be happy to send you some electronic information regarding whatever Porsche model(s) you’re interested in. 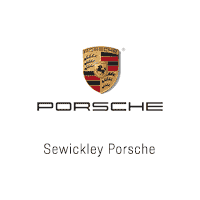 PLUS – as an Extra Auto Show Bonus, we’re including $150 in FREE ACCESSORIES for any Porsche purchase or lease from Sewickley Porsche from now through July 4, 2019! Please enter your contact information below and we’ll send out information on your vehicle of interest via e-mail.